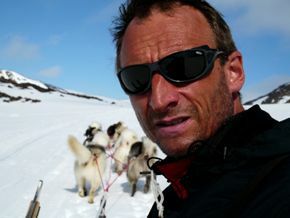 Gary Rolfe has travelled 24,500 polar surface miles with dogs in Arctic Canada and Greenland. A prolific polar expedition dog musher specialising in long-haul journeys, his winter and summer Arctic expeditions have seen him go into regions previously unexplored. Dedication to the use of dogs and living full-time in the Arctic differentiates Rolfe from polar explorers past or present.